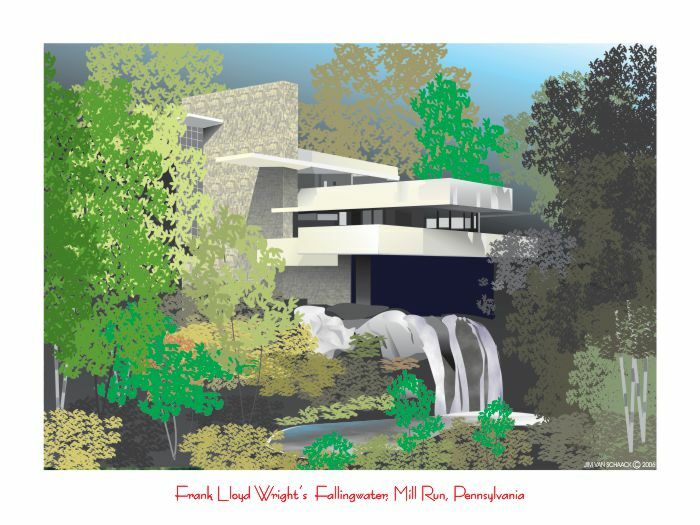 Fallingwater was designed by architect Frank Lloyd Wright for Edgar Kaufman, a Pittsburg, PA department store owner and his family, as their vacation home in Mill Run, PA. The home was built between 1934 and 1937. This photogenic house built over a running stream is a synthesis of the organic architecture as taught by Wright.